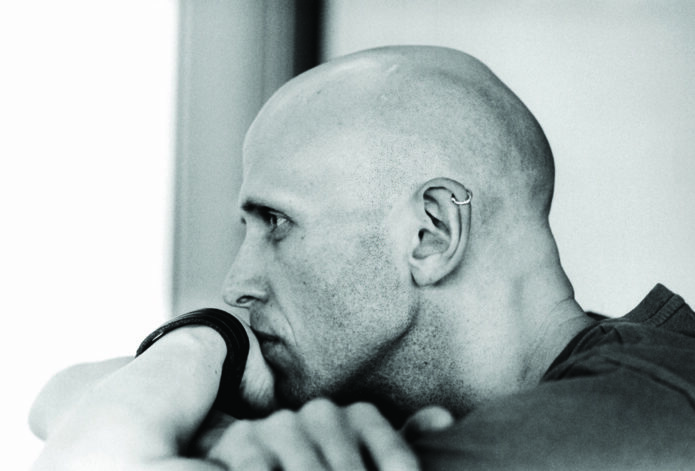 Sadler’s Wells’ Associate Artist Wayne McGregor has been awarded an honorary fellowship by the British Science Association for his dedication to engaging and inspiring people with science. He joins an illustrious rank of honorary fellows, including Professor Brian Cox and Sir David Attenborough. Wayne’s work has long been at the forefront of dance innovation, exploring the possibilities of the human body and movement through our cognitive and scientific processes. He has worked closely with researchers to create work informed by cognitive science and social anthropology, and even devised a choreographic thinking tool, Mind and Movement, now used in schools and other educational environments. His long-standing interest in scientific research is reflected in his choreographic works, which are often at the cutting edge of scientific and technological advancements. Atomos, performed at Sadler’s Wells in 2013, probes the idea of choreography growing from the form of an atom, exploring the movement and manipulation of the body with wearable technology mapping the dancer’s biometrics and reflecting their own emotional algorithms. His upcoming production Autobiography, premiering at Sadler’s Wells in October, is similarly ambitious, a deeply personal work stemming from world-leading geneticists sequencing Wayne’s genetic material, and thereby re-processing and exploring nature’s code through dance. Many congratulations to Wayne on this important recognition!